During Elevate’s Techfest, several startups pitched on stage for the chance to win millions in funding. 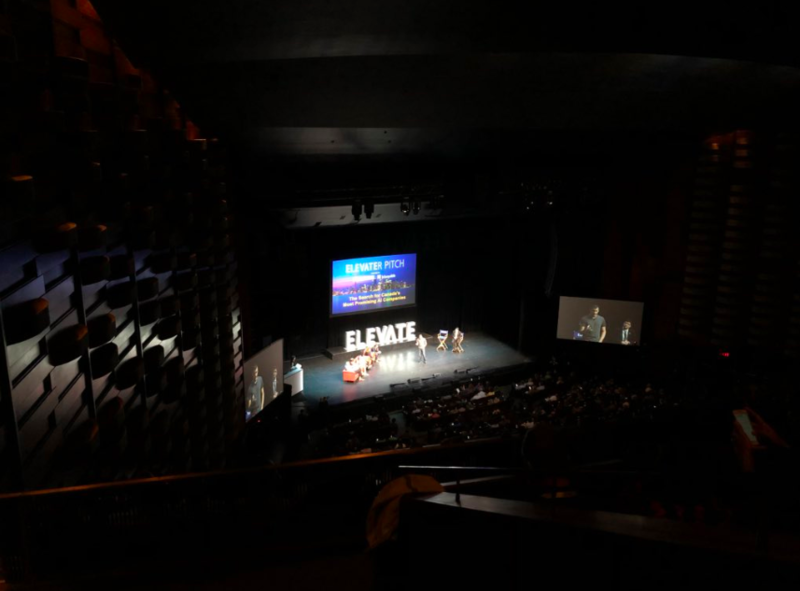 The ElevateR competition allowed 16 startups to pitch in front of judges, and promised startups a portion of $1 million in funding from Espresso Capital and ScaleUP Ventures. However, in a surprise announcement, main stage host and BNN Bloomberg anchor Amanda Lang announced that the winning startup would actually receive $5 million. Daisy Intelligence, which targets the retail and insurance industries, took the funding prize. Daisy Intelligence’s platform helps retailers predict the best products to promote, plan space, and forecast inventory. For insurance partners, Daisy Intelligence can perform fraud detection and predictive underwriting. In his winning speech, CEO Gary Saarenvirta took the opportunity to call out government programs like SR&ED for supporting the company. Two finalists—both working in the healthcare space—pitched on stage for the people’s choice prize. Montreal-based Aifred hopes to help people suffering from depression with its deep learning clinical decision tool. On stage, CEO David Benrimoh noted that while diagnosis is easy, it’s difficult for caregivers to provide the right routine of care for each patient’s individual needs. Aifred can predict treatment efficacy, track patient progress, and provide an electronic record for patients. Aifred was a finalist in the global IBM X-Prize competition, and plans to scale to other mental health conditions. “We have a solid plan to become leaders in this billion dollar market, and we have a solid plan to save lives,” said Benrimoh. The second pitching startup was Elucid Labs, which works to help dermatologists detect skin cancer. CEO Farnoud Kazemzadeh explained that dermatologists currently use a magnifying glass to diagnose skin cancer, an outdated method. Elucid Labs is developing a device that uses computational imaging technology to analyze the molecular makeup of the skin and detect diseases earlier, and ended up taking the prize for People’s Choice. “We’re negating unnecessary procedures, which brings down the cost of healthcare,” said Kazemzadeh.